I’m back from Alaskaland and ready to share some news with you! For the month of August, I will have some prints from my books on display as part of an excellent printmaking exhibition called Cut.Ink.Press. There’s a great group of artists involved so if you’re in Toronto, make sure to check it out. 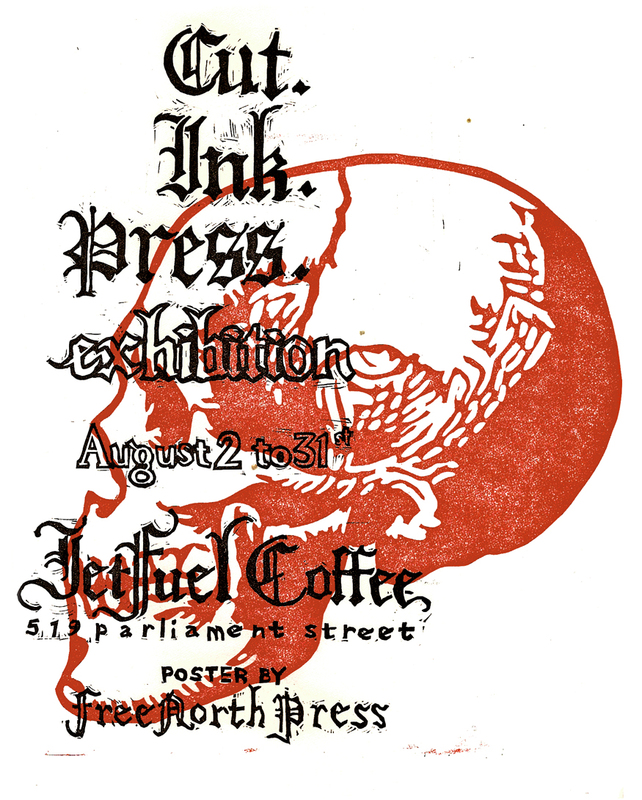 The show will be at Jetfuel Coffee, 519 Parliament St, from August 2nd to 31st. The opening is tomorrow, August 2nd, at 9pm. Come out for a beer or a snack or just to eyeball some fine prints (if the first two are not motivation enough). I will also have some copies of Back + Forth and Boom Boom Boom available for sale during the exhibition. 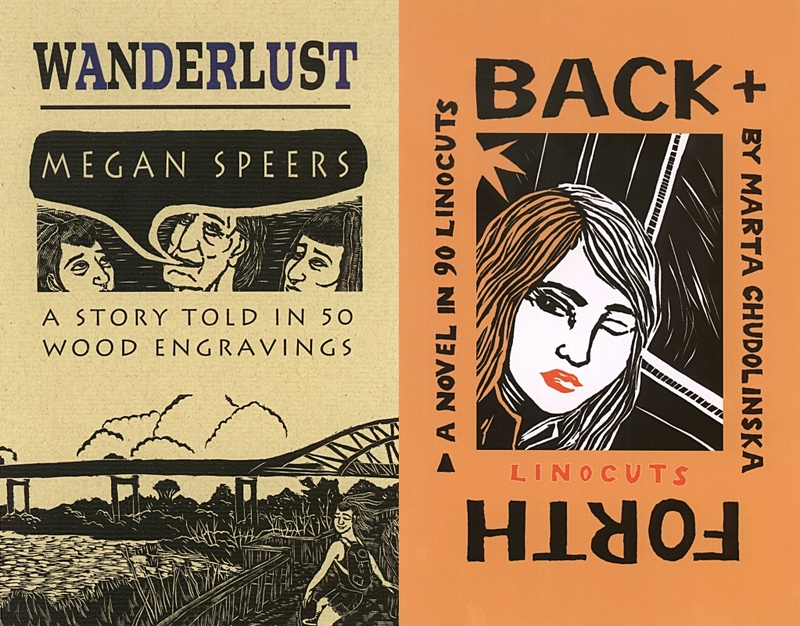 In other news, Kate from the Porcupine’s Quill did a wonderful review of Back + Forth and my pal Megan’s book Wanderlust on the PQL blog. I really enjoyed reading her interpretation and I hope you will too! Leave a comment on her post and you have a chance to win a copy of one of the books! Sweet!